In recent times, some members of the House of Representatives have been working towards the impeachment of one of the Associate Justices of the Supreme Court of Liberia, His Honor, Kabinah Ja’neh. In an impeachment bill recently submitted to the Plenary, the highest decision-making body of the Lower House, (House of Representatives), two sitting Lawmakers including Acarous Moses Gray and Thomas P. Fallah of Montserrado County District Eight and Five respectively made a number of serious and hard-hitting allegations against Justice Ja’neh. For us, at the INSIGHT, we think that the allegations flagged by the two sitting Lawmakers against the High Court’s Associate Justice are not only weighty but have the potential to bring into serious question and put to public disrepute the credibility, integrity, trust, and confidence of Justice Ja’neh. This is why we feel that such allegations need not to be swept under the carpet but scrupulously and fairly investigated and proven in a court of competent jurisdiction since under the Liberian law an accused person is presumed innocent until proven otherwise. It is in this direction that we had thought over the last few days, and still thinking, that the Honorable House of Representatives needs to cooperate with the Supreme Court as regards the stay order on Justice Ja’neh’s impeachment. The stay order which was placed on August 18, 2018, through the High Court’s Chamber Justice, Her Honor, Sie-A-Nyene G. Yuoh, cautioned the House of Representatives not to go ahead with the impeachment proceeding against Justice Ja’neh, pending an outcome of a hearing by the High Court. Although we are not lawyers, we think it would have been more prudent and in the best interest of both the accused and the accusers for such hearing by the Supreme Court to have been confronted with the merits and demerits of the allegations levied against Justice Ja’neh with the court giving its position as regards the stay order on the matter. But, as the situation is at the moment, with the House of Representatives contending never to comply with the Supreme Court’s stay order on Ja’neh impeachment, many ordinary Liberians and other stakeholders are wondering as to the direction the nation is heading. Already, there are increasing perceptions in some quarters of the Liberian nation that the pending impeachment action against the Supreme Court Justice is nothing less than a calculated ploy and ‘political witch-hunt’ which have the proclivity to seriously endanger the hard-earned peace and stability that the Liberian nation currently enjoys. While re-affirming support to the democratically elected government of President George Manneh Weah, trusting that the Liberian Government will promote peace, reconciliation, unity and integration, under the rule of law, Nimbainas, among others, called on President Weah to ensure that the gains the nation has made over the past decade in participatory democracy will continue to grow according to the expectations of the Liberian people and the international community. They called on the Liberian leader, to intervene with respect to the Ja’neh impeachment call. 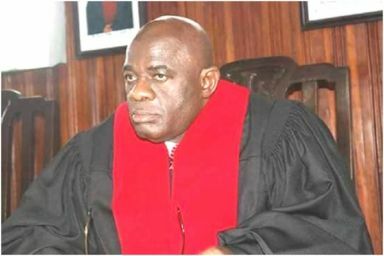 At the same time, we, at the INSIGHT, think that Justice Ja’neh should see it necessary and morally right to demand cogent, irrefutable and prima faci evidence of the allegations levied against him in the performance of his constitutional duties as an Associate Justice of the Supreme Court of Liberia. We say this simply because, if nothing is done to establish the truth and/ or falsity in the claims against him, it may sooner or later help to place a big dent of suspicion and misgiven to the already questionable integrity of the nation’s judicial system. Such move on the part of the accused Supreme Court Associate Justice, in our candid opinion, will go a long way in strengthening and consolidating his credibility, trust, and integrity. This means, both Justice Ja’neh and his accusers must ensure that justice takes its course in this matter. This is our plea aimed at safeguarding the nation’s hard-won peace and democracy characterized by the rule of law.